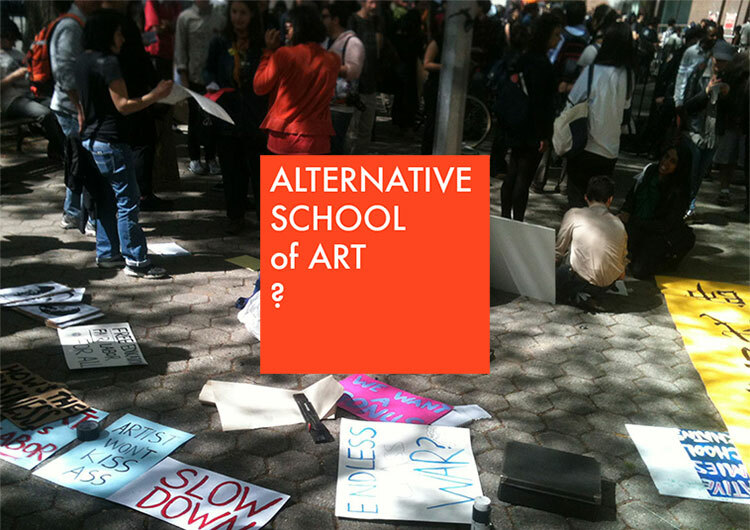 The economic and structural realities of art schools as they exist today can often be a source of anxiety and frustration for art students, faculty, and staff alike, so what might an alternative school of art look like? In this workshop the participants will familiarize themselves with over 30 alternative economic models that are in practice throughout the world today. 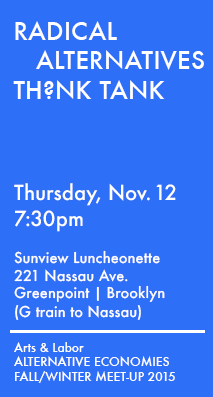 After analyzing the current economic and structural issues apparent in our places of work and study, participants will be asked to imagine and consider the implications of using these alternative models to augment, remedy, or perhaps replace the current structure altogether. Melissa Liu, Daniel Tuss, Antonio Serna, Yana Dimitrova.